A car accident raises several legal questions. Who is at fault? Who is liable for damages to your car? Who will pay for your medical bills? Can your insurance company provide compensation for lost wages? Can you get a rental car while insurance resolves liability issues? All these are just a few of the many questions you can ask an experienced personal injury lawyer, who can negotiate on your behalf and guide you through the complexities of injury settlements and insurance claims. At Yermus & Associates, we accept claims on “no-win, no-fee” basis, which means we only collect fees when we reach a successful resolution to your claim, giving you little incentive to handle a car accident case on your own. Hiring a personal injury lawyer means having a professional who understands the law and its intricacies, working on your behalf. Your lawyer can file a lawsuit for your case and formulate a plan in anticipation of potential defenses the other side will use. And once your case gets under way, your lawyer’s skills and knowledge will prove invaluable when preparing for a settlement, or even a trial. Perhaps most important is how a personal injury lawyer can help even the playing field, especially when your case involves having to face an insurance company. Negotiating a settlement and filing a personal injury lawsuit involves lots of paper filing and tedious work. After an accident, the last thing you want may want to do is look at paperwork for days. If you have a serious injury, you need to concentrate on getting better, letting a lawyer do the work for you. An experienced lawyer can organize evidence and prepare a settlement letter on your behalf. If a settlement is not possible, your lawyer can formulate a plan for a court case and negotiate with the legal team on the other side for you. Working with an experienced lawyer who advocates for you is crucial to reaching a fair and reasonable settlement to your car accident case. 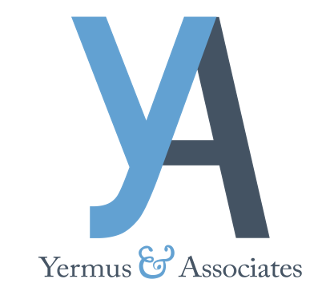 Get a free consultation with Yermus & Associates now.